I finally got the tides right to show you "The Rising Tide" by internationally renown underwater sculpture Jason Decaires Taylor. 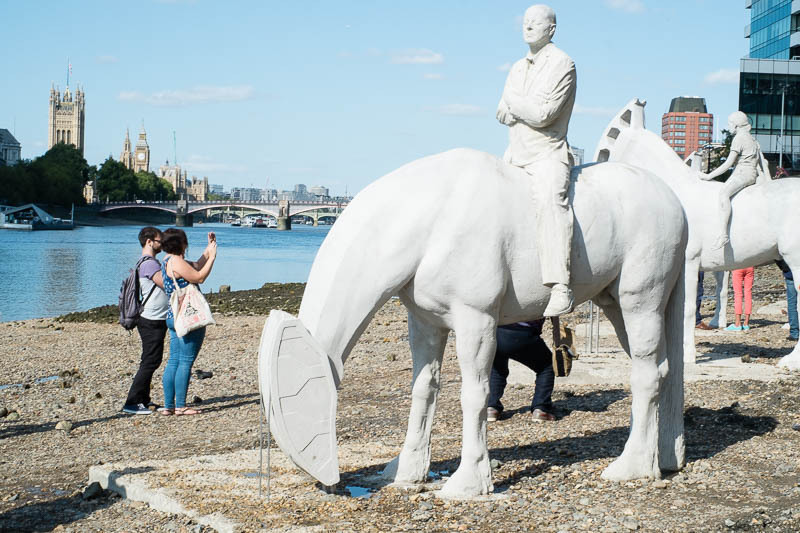 At low tide the four horses and their riders appear on the sandy shores of the Thames, as the tide comes in they gradually disappear until they are totally hidden. This is all part of the Totally Thames Festival we are celebrating this month to celebrate the river. I've been to London so many times but I have never seen these sculptures. I must see them next time. Well, if I happen to be there at low tide. Great pic! I love this whole concept! Peculiar, but I like it!